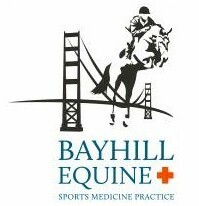 Bayhill Equine provides all aspects of equine medicine, surgery, and dentistry with a special emphasis on sports medicine and lameness. Our services include preventative health care, lameness diagnostics, pre-purchase examinations, advanced dentistry, general medicine, and reproductive services. Mobile Equine Veterinary Practice. 24hr Emergency service. Wellness care, power dentistry, prepurchase exams, lameness exams, etc. Serving the East Bay Tri-Valley area, also the Tracy and Brentwood areas by appt. Practice limited to horses. 24 hour emergency service. Equine Dentistry, Reproduction, Lameness exams, and consultations - Serving the Diablo Tri-Valley area for over 30 years.